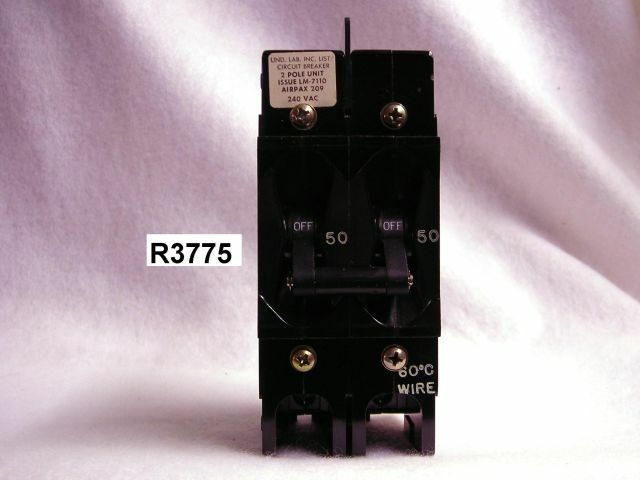 Model 209-2-1-60-4-9-50 special use dual circuit breaker. 50 full load amperes, 240 VAC max, 50/50 Hz. Unused, removed from new scientific instrumentation. Only have a few. RECTANGULAR PLASTIC AM/FM RECEIVER TUNING/DIAL PLATES: BACK-LIGHTABLE!